FM Target Transition Roadmap Official Discussion. lol... yes it seems a bit like a futile exchange. However i'm becoming re engaged with the game. So i'm going to speak up about the issues that i face. Bort for his narrow vision is helping get the point across by providing an almost established figure to rail against!! If some people want to continuously repeat their entrenched position. That's annoying and wish it wouldn't happen, but people are like that and ultimately it's fine.. Most religious people I know entrench their position when you talk about other religions... It doesn't mean that they're bad people. Other things make people bad, not their inability to see things from other peoples perspective. Yes you use a bit of strategy and tactics in a strategy game in order to catch up. I know. That seems wildly unreasonable. i'd also say the game has been dumbed down quite a lot. SO much so that people complain that they can't come up with creative builds anymore. We've tustled quite a bit. Can you explain my position please? Without insults would be best. Feel free to reiterate issues with examples to show that you understand concepts.. Your position is simple and you keep telling everyone at 'every' opportunity! Essentially in your own words. With no insults! Your position is you love to use long winded analogies that don't really work, to not really explain anything of substance. lol.. Ok. So i'm right you dont understand other peoples perspectives.. So... On to you... You have a superiority complex, you love to brag about how you play for free because you're very special. You also feel it's your right to insult people that are different to you. Or more correctly. Is someone doesn't kiss you arse you consider them inferior. Even then, you likely see everyone as inferior you're just more likely to tolerate those that kiss your arse and give them a few scraps, telling them to go work harder if they want to get where you are. The tough love type of person. Essentially you're playing out the worst part of the American dream. By sitting at the top and dumping crap on most of the people below you. Likely because it happened to you on the way up, so you feel it's your earned right to dish it back out to others.. Now that you've found something that you're good at and can swagger around like you're the boss. Just because you don't understand..
i see your analysis skills are as good as your analogy creating skills. lol. One of us has created numerous guides for others to catch up for free. In some cases exactly how to do it. One of us hasn't. One of us is not prepared to put in effort to catch up. One of us is not. And instead chooses to complain. Even though the tools are there to do it. If you're not prepared to work harder or smarter, you need to be prepared to pay for it. Either in coins or begging. I don't really care which option people choose, although i do prefer the coining to keep my game free. But those who say it is impossible to do without coins, i'm pretty sure are wrong, as numerous players have shown this statement to be incorrect. That point is quite black and white. I think i found another of your problems. I have never posted another person's vid and claimed it as my own. The current FM is technically harder than it was initially to do. 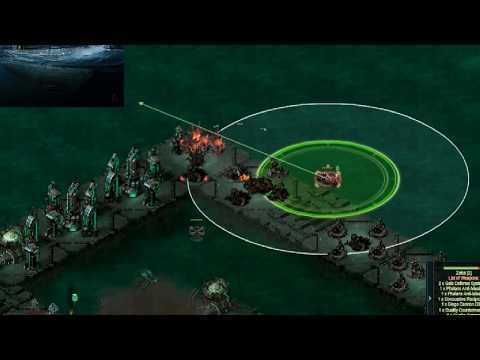 Here's a vid (not mine) on doing a 113 with just two ships. really take a look at that and how the weapons of the 113 are firing. i bet it was made before the change to the weapon firing range in the 113 and even if it is not.. 2 fully fitted armored and sculled zelos for that. i do the 113 and it did take my zelos out with me using skill and range so as to only hit from max range taking time to travel around so as to hit the weapons that did not have the range and letting splash damage from my morts damage it all. i can not do them since i got charged armor for it and rank on my ship. how do you know that the one in that vid did not coin that ship build several times as well as the rank so that he could get it done. none of us know for sure. i do know that without a lot of help if you do not coin you will not get the new ship in the big raid without coin. unless you already have the new items. so if you have started this game 4 months ago and you give it all you got taking every bit of info from the web and game you can not do the raid without having some one else hit the targets for you and helping you with their preps. unless you coin and coin and coin. the vids with fully ranked ships as the ships being used and with all the top gear on them is no indication that you can do it without coin. you will either coin or find someone that will coin for you. normal researched ships will not come close to doing the job to get you caught up. I must say from the looks of this bort you are just doing this to get someone to argue with you for you have nothing better to do. and i could say that i am on top of the game and that i can do it all for free and no one can say any different on here unless they know me and have been to my sector to watch me. your ability to comprehend is deplorable at best. your ability to communicate without using derogative insinuations is in worse shape. i was spending over 100 hours a week on the game and using every trick i could find on all the pages and in all the chats or groups and still had to coin to catch up at that time. it took a lot of help from others prepping for me to get a top ship and weapon then i needed help because i did not coin the builds so i did not have but 2 ships with no rank to do the next raid. by the time i had 4 ships the raid cycle changed and i had nothing for the next raid cycle. i broke down and coined to get a couple ships so i could try again.. and yet again no rank so i needed help to get the prize i needed for the next set and i set out to build it rite away. i got lucky when they went to the ballistic raid for i had a fleet that could do a good amount of that and i started getting back up again. got lucky with the mort raid again. yet they changed it to what they have now and even though i coined 3 ships of both types i could not get the points needed to even get any charged armor as i had no charged armor to put on my builds they sink lol that is the way of the game. it must be nice to be so perfect as to have every fleet needed when it is needed and to have it ranked up already.. not i do not believe anything you say now for you have left to many things that are to hard to fathom working out for just one person every time to be true. have a good day bort. i think we're always going to be of different opinions. Figure out how to achieve the result and do it. to whine that its too hard. Then either continue to whine, or mooch off someone else's expense. Also, not sure why you used the american dream before. I'm not american. And where I come from you take on a challenge. I'm not sure where you're from but i am guessing that's not the approach that is taken there. err. didnt, you say you went to all the sites for vids/tips? There are plenty of vids on doing 113s with even zelos and cits. that particular vid was just one of many ways to do it. The other ways do not require charged armor. My zelos tank did not have any charged armor and took virtually no damage, and now only has a single charged x as of yesterday. The last raid series you could have spammed 81s to get points with any fleet with range. People were even using seawolves with missiles. Where there is a will to find a solution, there is a way. Last raid people could spam the right hand edge of the 100s if they had a fast fleet. Better obviously with apollos, and luckily they are in the foundry and require no coin to obtain. you seem to be very insistent on saying things are impossible, when people obviously can do them. There is no luck in the change in raid cycles - we now know exactly when they are changing, and what they are changing to. i believe 100 hours per week to be an exaggeration. And for me that would also be a poor strategic choice. But I guess it is an option. I even made a prediction in June on how easy the July raid would be based on what I could build and rank in time for the raid without spending a single coin, and it turned out to be spot on. You are right though, if you plan badly and don't get your ships ranked, you're going to have a hard time. Fortunately TFC/BV showed how to prep 100s for vxp in the June vxp event, and the same strategy worked in July. Albeit you could have used phoenix/skyfire to prep in July. Honestly Bort... you only need to read back a few pages to find that i'm not complaining that the game is to hard. It's there in black, white and colours. You might be stuck in a previous argument. You should try reading and understanding what people are saying before you assume and make a mistake. I even gave you a chance to look back. I actually asked you to state my perspective. Because i could see that you were going a bit wrong. So can you actually go back and read what i was talking about. I mean you remember the analogies but you just don't get/understand them? As i don't remember any of them being about the game being hard. So next time you want to throw condescending abuse. please make sure you're not making stuff up to justify your abrasive and demeaning attitude..
Whilst i do like your statement, it's going to be a verbal appreciation of what you've said rather than the like button. Simply because i can't condone what you said even tho i completely agree. I gave him a way out and he swerved it choosing to go in the opposite direction and ramp up the insults. If i didn't know any better he's either acting up, seeking attention or just being silly. Unfortunately i've seen behaviour changes like this before... In another game i'm GM on. Lets just hope it's something simple like him having a drink and loosing a few cells for a while. Also just going to drop this in here... Just so people know. i didnt realise you had that condition. why didn't you say that earlier. It explains a lot. And why you keep on and on. So... Disabled people get sympathy from you..
You really haven't thought that through. well kixeye you screwed me again. i finally got some fleets to do the raids again and you changed it. now i dont do the fm no more and no longer progress in the game. i cant even do the lowest lvl fm base without getting totally blown away. so now im back to doing nothing in ur game and not spending my $1500 a month on coin enjoy ur loss income. i would not want to set you off with your condition again. so you consistently claim its too hard. explains a lot. perhaps if you had read my posts you'd have got up to speed without so many coins or so many hours of seat time. So far today, hes openly mocked the disabled saying they get his pity, whilst also being extremely patronizing about the same disability. yet he seems to think that I don't understand what the word bullying means! On top of his usual boasting and condescend the crap out of people who don't share his perfect view of kixeye. He gets away with it because he has a similar opinion to the key few in the top tier of the game. That and he actually is helpful, if you wade through or don't get the tone of crap that he sometimes dishes out with his help. Anyway. I appreciate your help. It's not nice being bullied down when you come to the forum to do what it's partially for to speak up. Honestly, thanks for pitching in and I hope the game becomes a little more enjoyable for you in the future. I hear your issue that changes need to be more publically imprinted on the game, with clear avenues to catchup always available that don't require hundreds of hours or pounds. Or require handouts. Yes you play for skill and enjoyment. So the change making things harder wasn't the real issue for you( i'm guessing here). I'm suspecting that it's the build time to change what you have to be competitive again. The clear in game roadmap that's not 'time limited' is an issue for those closer to the back than the front. I've seen it. Nice new hull nice weapons and specials.. On the first format no problems with the armour. Change comes, new format. Armour is crap and fleet sunk! Problem is they don't have an easy way to get the good armour you need to make your fleet good again. My last comment today. Is I suggest you look at the new 14 day TLC. I appreciate that it's 14 day rather than less. As it has the charged armours. So you have what you need, if you are up for a little challenge. I'm personally happier that its 14 days. it's still Time Limited. I will take the compromise as it's a step in the right direction. wow. you must have a fairly extreme case of it. The new FM targets are the research garrisons. They are different to the old targets so don't just send a fleet in. I would ask someone in sector and watch them do it. There is an issue with spawning bases. For some reason sometimes it doesn't recognise that you've logged on and give you suitable targets. Essentially the most dangerous aspect of the new FM is the rocket turret, which seems to trigger around range 95. So if you get closer than range 95/96. You want to be a little tanked up with explosive defence. Remote targeting sending a tank in works well. So does really powerful missiles (As long as you stay out of the range of the rocket + scatter turrets). Also this FM has ships that attack. It's a three faction scenario, so the ships will attack the closest enemy. My honest advice is get on your sector chat and ask. You'll get a more honest response and you may get someone able to watch you whilst you try it. There are some vids in this thread (the top of this page). However as i said, might be best to ask on your sector chat.